A 66-year-old female with a history of stage IV lung adenocarcinoma presented to the emergency department with aphasia. The patient noted early morning language deficits with maintained comprehension. One week prior to this, a similar episode occurred that lasted 20 minutes. The patient was alert and oriented with expressive aphasia. Facial symmetry, sensation, and strength were intact. An EEG was performed and was negative for seizures with mild nonspecific diffuse encephalopathy noted. 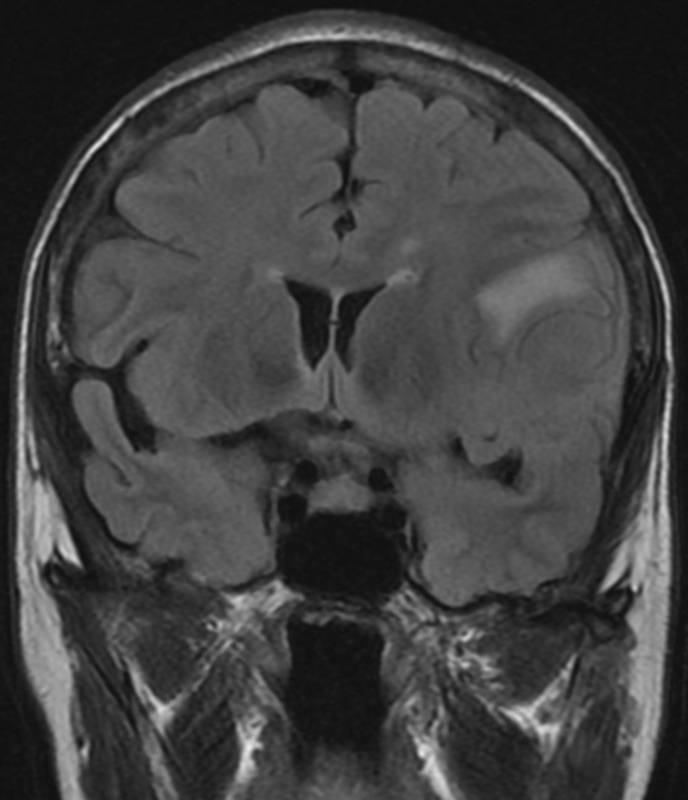 A head CT was performed, which revealed a previously seen left middle cranial fossa meningioma and associated edema. The patient was managed with anti-seizure medications and steroids, and was discharged the next day. Plans were made to follow up with neurosurgery for surgical resection five days later. 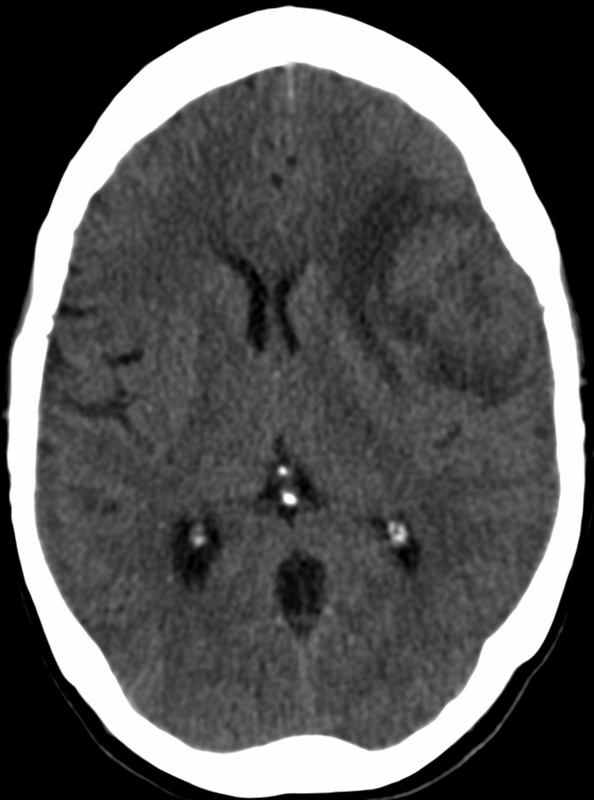 CT of the head without contrast performed during the admission similarly showed the left middle cranial fossa lesion with associated edema, a significant size increase, increased mass effect, midline shift of 3 mm, and presumed necrosis (Figure 1E). Histologically, the dural-based mass was a meningioma with a syncytial meningothelial pattern. However, atypical features were present and included necrosis, loss of lobular pattern, small cell change, and hypercellularity. Additionally, this was involved by a metastatic adenocarcinoma with gland formation, mucin, high mitotic activity, and necrosis (Figure 2). 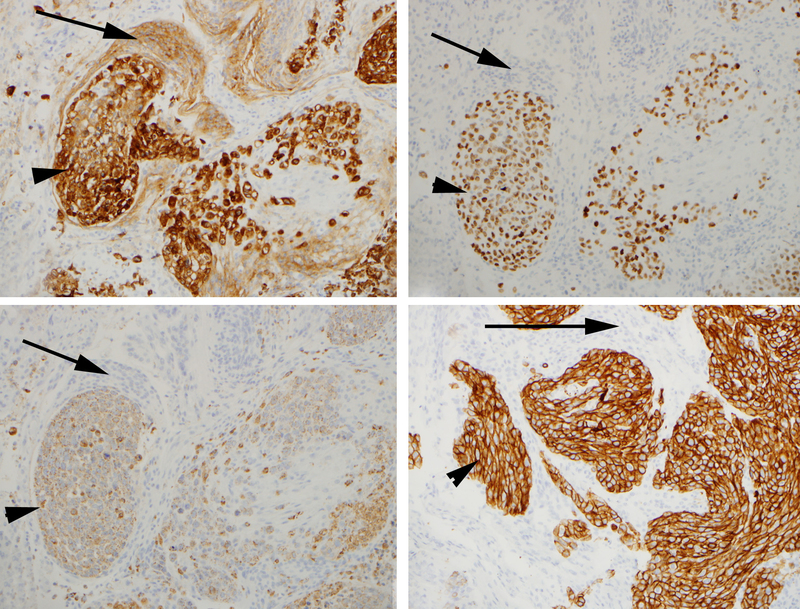 Immunohistochemical (IHC) stains were performed and EMA was positive in the meningioma as well as the adenocarcinoma, while pulmonary origin of the adenocarcinoma was confirmed with additional stains for TTF1, Napsin A, and CK7 (Figure 3). Radiologic differential diagnostic considerations include meningioma, a higher-grade meningioma, metastasis, or a tumor-to-tumor metastasis. Metastases to meningiomas are relatively rare. 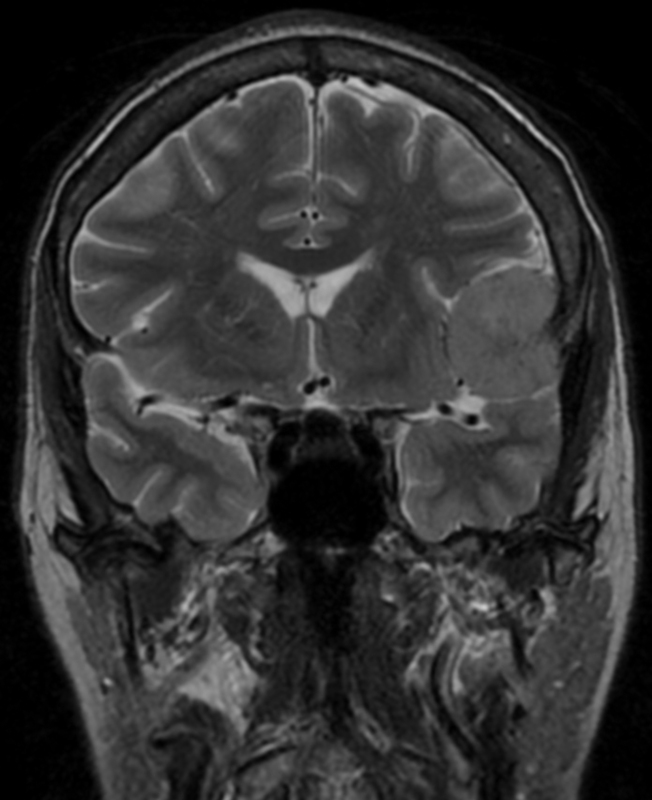 Atypical image findings on MRI may include increased edema, which should raise suspicion of another process. Even without any clinical history of a primary neoplasm this process should be considered and evaluated by pathology. Louis D, Ohgaki H, Wiestler O, et al., (eds). World Health Organization Classification of Tumours of the Central Nervous System. Lyon: IARC Press, 2016. Louis DN, Perry A, Reifenberger G, et al. The 2016 World Health Organization classification of tumors of the central nervous system: A summary. Acta neuropathologica. 2016;131:803-820. Moody P, Murtagh K, Piduru S, et al. Tumor-to-tumor metastasis: pathology and neuroimaging considerations. Int J Clin Exp Pathol. 2012 Jan 1;5(4):367-373. 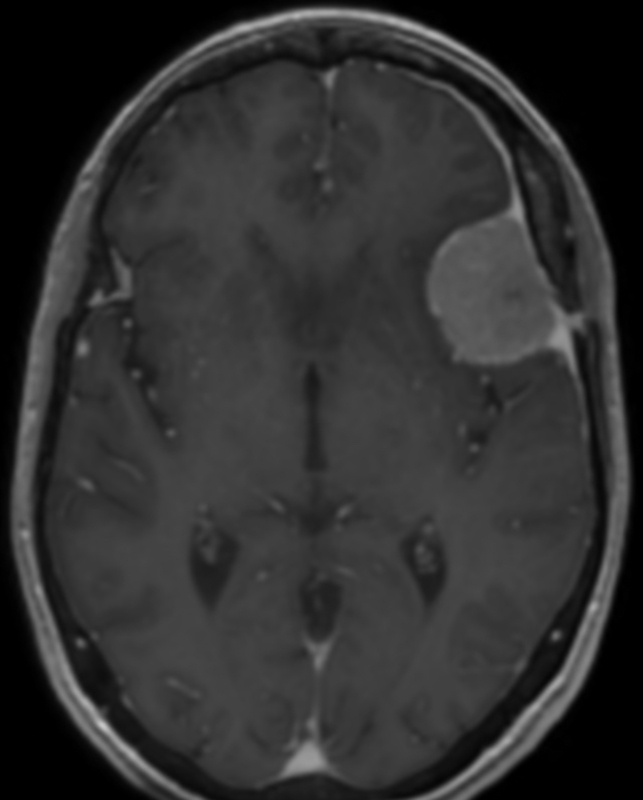 Bhargava P, McGrail KM, Manz HJ, Baidas S. Lung carcinoma presenting as metastasis to intracranial meningioma: case report and review of the literature. American journal of clinical oncology. 1999 Apr 1;22(2):199-202. Takei H, Powell SZ. Tumor-to-tumor metastasis to the central nervous system. Neuropathology. 2009 Jun 1;29(3):303-308. Campbell LV Jr, Gilbert E, Chamberlain CR Jr, Watne AL. Metastases of cancer to cancer. Cancer 1968; 22: 635-643. Pamphlett R. Carcinoma metastasis to meningioma. J Neurol Neurosurg Psychiatry 1984; 47: 561-563. Caroli E, Salvati M, Giangaspero F et al. 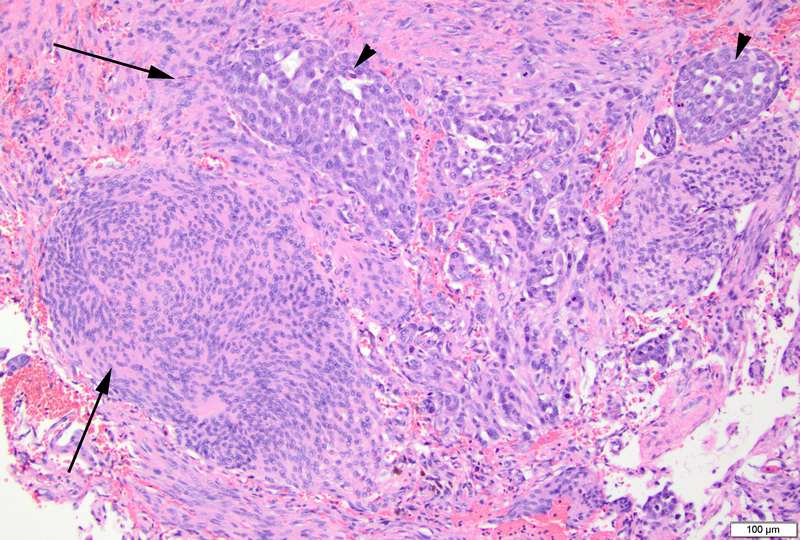 Intrameningioma metastasis as first clinical manifestation of occult primary breast carcinoma. Neurosurg Rev 2006;29: 49-54. Osawa T, Tosaka M, Nagaishi M, Yoshimoto Y. 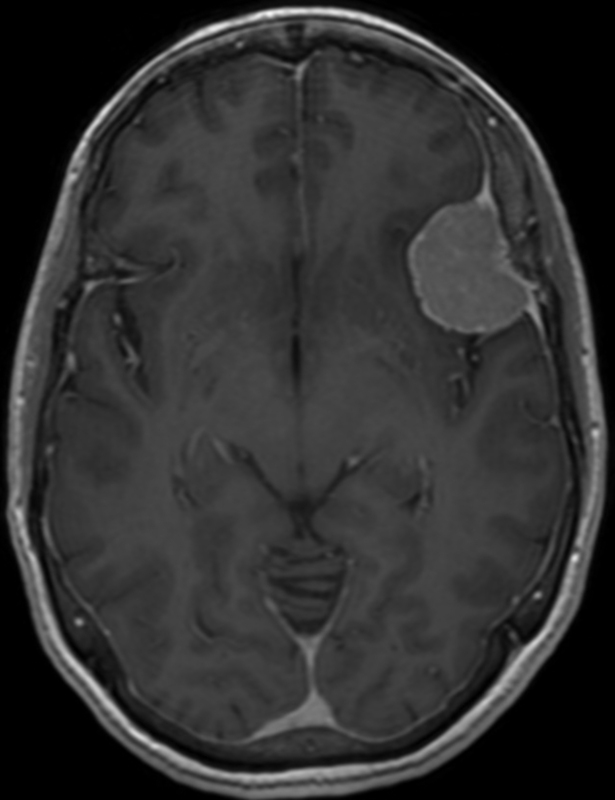 Factors affecting peritumoral brain edema in meningioma: special histological subtypes with prominently extensive edema. J Neurooncol. 2013 Jan 1;111(1):49-57. Agostini-Vulaj D, Rosella P, Yeaney G. Metastatic adenocarcinoma involving atypical meningioma. Appl Radiol. 2018;47(3):27-28. Prepared by Dr. Agostini-Vulaj while in the Department of Pathology and Laboratory Medicine, and Dr. Rosella while in the Department of Clincal Imaging Sciences at the University of Rochester Medical Center, Rochester, NY; and Dr. Yeaney while in the Department of Pathology at the Cleveland Clinic, Cleveland, OH.